Kapitolyo has established itself as one of the best food districts in the metro. Not a lot of people would travel that far up north (except those who are already in the area) given the traffic, but you’d be missing out on all the best food spots if you don’t go at least once. What started out as a humble 12-seater restaurant in Baguio has found its home in Manila. Amare La Cucina is one of the newest additions in Kapitolyo, ready to cement itself as your go-to Italian restaurant for woodfire brick-oven pizza, which is what they’re famously known for. Amare la cucina literally means “love the kitchen,” but Amare was actually formed from the names of the siblings who own the restaurant: Alvin, Marianne, and Edmark. Before we got down to business, we were asked if we wanted to make our own pizza. We just couldn’t say no. One of the staff said while I was making the crust is that I always have to smile because it’s the most important ingredient. Both kids and kids-at-heart can enjoy kneading, tossing, and garnishing their own pizza (provided that you won’t break the dough). Personally, the tossing was the most exciting yet most difficult part. We didn’t use ours (we ended up destroying it), but we still got to put the finishing touches before popping it into the wood-fired oven. 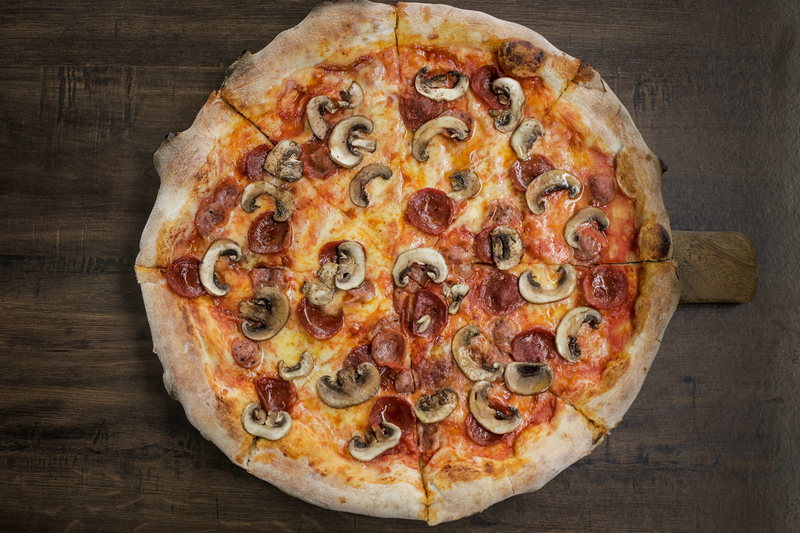 We made two of their bestsellers: the Sausage Pepperoni Mushroom and the Tre Formaggi. 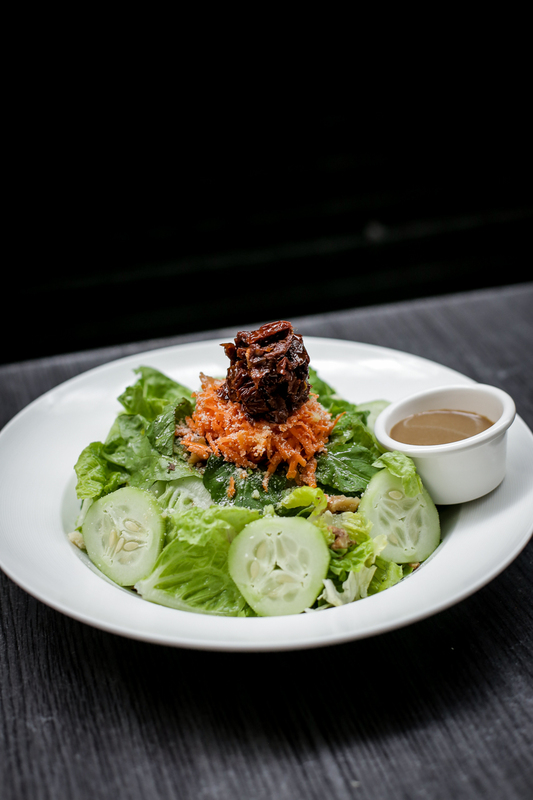 According to owner Edmark Bustos, he wanted to keep the flavors simple, as it should be. While trendy pizza flavors can be fun, people would always revert to the classics. The base for most of their pizzas is classic tomato sauce. No gimmicks; just the fruity and sharp flavor from plum tomatoes. The crunch you get from the first bite is proof that everything is cooked fresh daily. 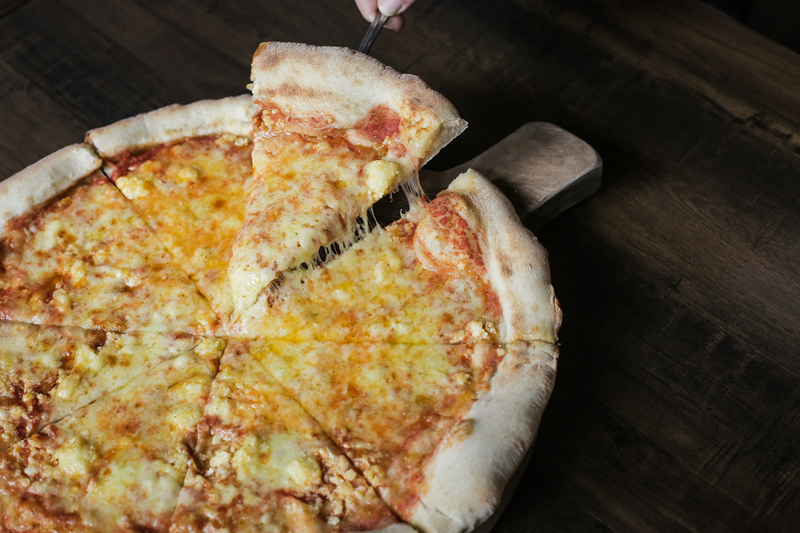 When it comes to different pizza flavors, the Tre Formaggi is an easy favorite. It has three kinds of cheese—mozzarella, cheddar, and Parmigiano Reggiano. That and the perfectly crisp crust hit all the right places. Of course, they have other offerings besides pizza. The Marianne’s Special, which is named after Bustos’ sister, is an excellent choice to prepare your taste buds for the food to come. The fresh arugula, caramelized walnuts, and sun-dried tomatoes together with their special dressing sound overwhelming, but healthy and flavorful nonetheless. 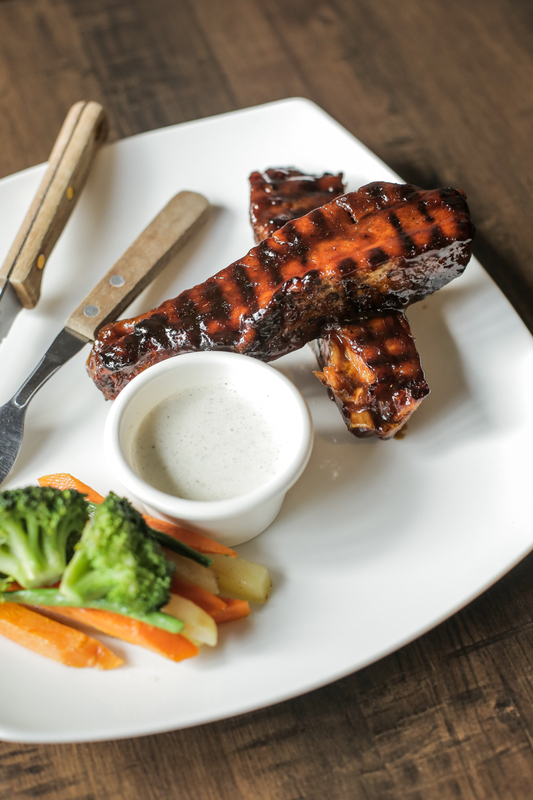 They also serve wood-fired ribs with vegetables, marinated in Amare’s own concoction. The result is a sweet and smoky taste with a meat so tender that it almost falls off the bone. On the other hand, their Ala Gamberi pasta is also bursting with flavor, comprised of shrimps, spicy tomato sauce, olive oil, peppers, and parsley. For Amare La Cucina, it’s fitting to serve desserts in pizza form as well. 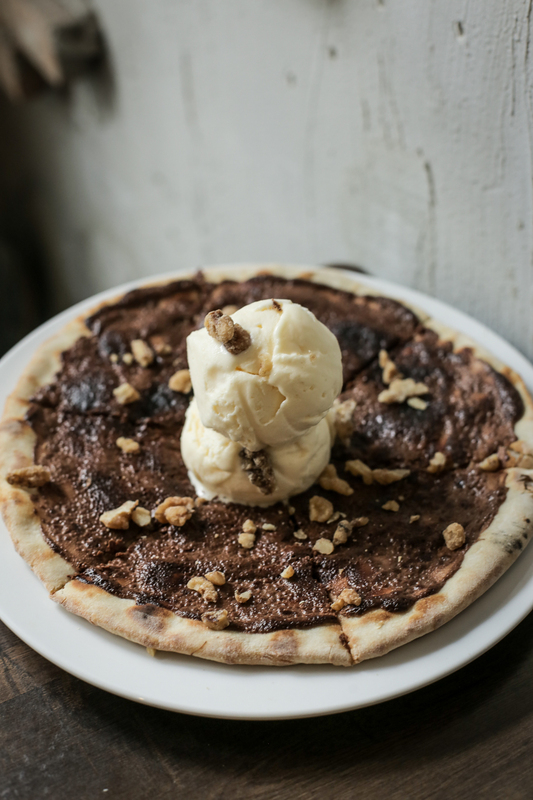 The Nutella Pizza sounds like a lot (because it is), but the genius combination of the pie, Nutella chocolate, vanilla ice cream, and caramelized walnuts was a proven winner. Amare was built to serve pizza-lovers of all ages, and whether you’re familiar with the gorgeous taste of brick-oven pizzas or just exploring it now, you’re definitely in for a treat. 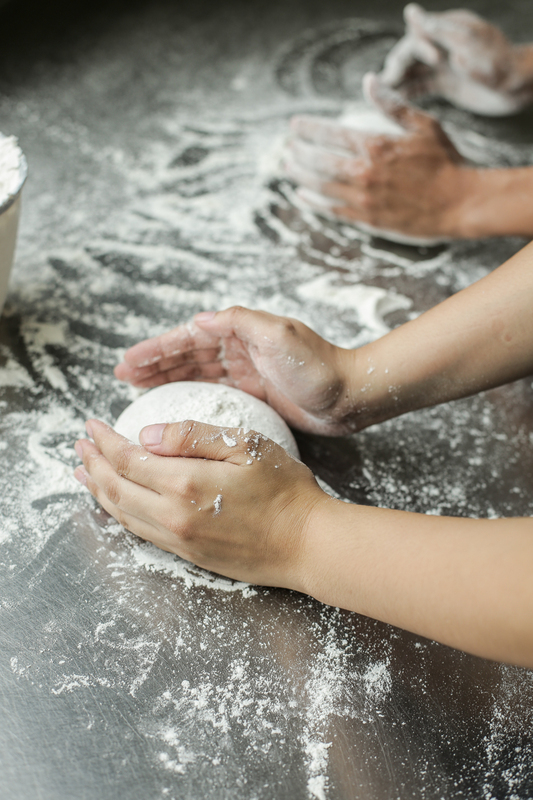 If the kitchen is not too busy, you can try your hand in tossing the dough and making your own pizza (provided that you don’t destroy it first).